Published by: First Comics, Inc.
“New Comic Day!” by Peter Laird, Jim Lawson and Steve Lavigne. 5 pages. 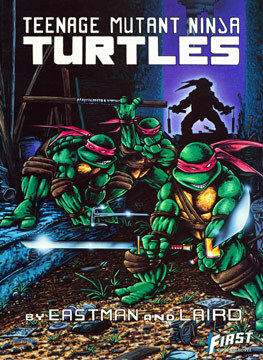 “Night Life” by Kevin Eastman, Ryan Brown and Steve Lavigne. 6 pages.